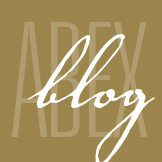 Safety Programs and the Impact to Your Bottom Line - ABEX Affiliated Brokers Exchange Inc. If you could save your company money, improve productivity and increase employee morale, would you? 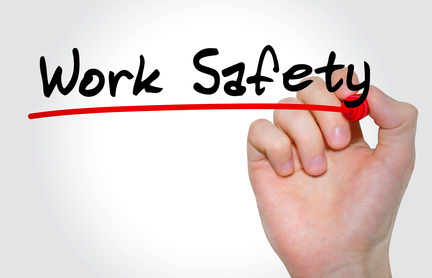 Workplaces that establish safety and health management systems can reduce their injury and illness costs by 20 to 40 per cent. Safe environments also improve employee morale, which positively impacts productivity and service. In today’s business environment, these safety-related costs can be the difference between reporting a profit or a loss. Use these tips to understand how safety programs will directly affect your company’s bottom line. Demonstrating the value of safety to management is often a challenge because the return on investment (ROI) can be cumbersome to measure. Your goal in measuring safety is to balance your investment against the return expected. Where do you begin? There are many different approaches to measuring the cost of safety, and the way you do so depends on your goal. Defining your goal helps you to determine what costs to track and how complex your tracking will be. For example, you may want to capture certain data simply to determine what costs to build into the price of a product or service, or you may want to track your company’s total cost of safety to show increased profitability, which would include more specific data collection like safety wages and benefits, operational costs, and insurance costs. Since measuring can be time consuming, general cost formulas are available. A Stanford study conducted by Levitt and Samuelson places safety costs at 2.5 per cent of overall costs, and a study published by the Economist Intelligence Unit (EIU) estimates general safety costs at about 8 per cent of payroll. When calculating soft costs, minor accident costs are about four times greater than direct costs, and serious accidents about 10 to 15 times greater, especially if the accident generates fines or litigation costs. Just the act of measuring costs will drive improvement. In theory, those providing the data become more aware of the costs and begin managing them. This supports the common business belief that what gets measured gets managed. And, as costs go down, what gets rewarded gets repeated. Studies indicate that for every $1 invested in effective safety programs, you can save $4 to $6 as illnesses, injuries and fatalities decline. With a good safety program in place, your costs will naturally decrease. It is important to determine what costs to measure to establish benchmarks, which can then be used to demonstrate the value of safety over time. Also, keep in mind that your total cost of safety is just one part of managing your total cost of risk. When safety is managed and monitored, it can also help drive down your total cost of risk. Industry studies report that companies who focus on safety as a core business strategy come out ahead. Safety experts believe that there is direct correlation between safety and a company’s profit. This entry was posted in Business and tagged safety programs. Bookmark the permalink.